This OBIEE tutorial will help you learn OBIEE basics on your way to becoming an OBIEE certified professional. 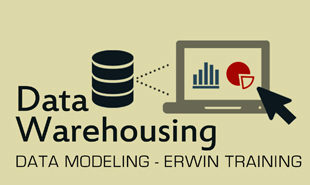 Through this tutorial you will learn OBIEE architecture, components, dimensional modeling, schema, data analysis, report generation, drilling down data and dimensional hierarchies. 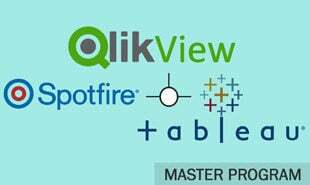 This tutorial also includes working with dashboards, filters, views, prompts, OBIEE administration and security features. Learn OBIEE from Intellipaat OBIEE Certification training and fast-track your career. This introduction to OBIEE free tutorial is helpful for beginners to learn the various components of OBIEE, creating, editing, maintain objects in presentation layer of OBIEE repository, Oracle fusion middleware and more. This tutorial also includes use cases, practical applications to help you learn this top business intelligence tool.Oracle Business Intelligence Enterprise Edition is a popular and comprehensive BI tool to deliver a full range of data analysis and present reports using a unified, contemporary and scalable architecture. OBIEE has the excellent abilities for reporting, analysis, ad hoc query, Online Analysis Processing (OLAP), dashboards and scorecards. Why do enterprises prefer and trust OBIEE even though we have several other efficient and effective BI tools and suites? You must know that OBIEE gives immense ease to operate and implement it via web-based interactive workspaces, Customer Relationship Management (CRM) applications, mobile devices and Microsoft Office applications. Moreover, the hierarchy drilling feature of this tool is yet another remarkable service making it a widely-used choice of enterprises. Graphical reporting and global support and development capabilities serve as a cherry on the cake both for consumers/clients and business groups. Maps and spatial visualizations allow monitoring the analytics. Check this Intellipaat OBIEE training to get a hands-on learning experience in one of the top BI tools. Become OBIEE Certified in 10 hrs. If you are looking to remove redundancy in report generation and save your time in applying the data analysis and report creation techniques, this business intelligence platform is the right fit and thus, important to learn and master. 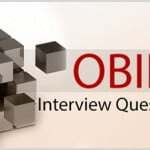 We have developed a technically-rich OBIEE interview questions to assist the Data Analysts and Business Intelligence Developers and let them enhance their skill set. Well-explained using illustrations, you can take a quick tour and gain understanding of several core functionalities and processes used in BI and then apply them to your live data analytics projects and assignments. Get the OBIEE developer training for getting ahead in your career now. Gratifying the business requirements and promoting faster business decisions, this OBIEE tutorial is designed to train you on basics, intermediate-level and advanced concepts serving the larger audiences. Each topic is described in detail window by window and using various real-time examples, which is certainly going to help you implement OBIEE processes in your organizational projects. Launching SQLPlus and Discovered Administrator and exploring the Discoverer Plus IDE. Later in this tutorial, you will be able to perform advanced analysis on worksheets by entering dynamic input values and thus, creating effective reports. 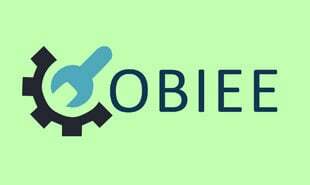 This Intellipaat OBIEE online training video will better equip you with understanding OBIEE basics. Basic knowledge of SQL and database will be beneficial while learning this tutorial. "0 Responses on OBIEE Tutorial - Learn OBIEE from Experts"
Sign Up or Login to view the Free OBIEE Tutorial - Learn OBIEE from Experts.